View Georgetown, KY farms for sale below! Georgetown is best known for its prime agricultural farm land in the county seat of scenic Scott County. Sprawling fields, world-class barns, and modern farm features are just a few things you can expect with Georgetown, KY farms for sale. 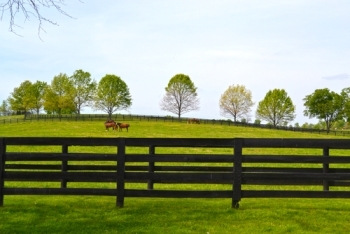 As a Scott County bedroom community, Georgetown has something for everyone, including numerous excellent horse farms. With property taxes lower than the nearby city of Lexington, Georgetown horse farms are an affordable option for many buyers who are looking for value in a thriving and dynamic community.And Georgetown farms for sale offer the opportunity for horse and farm enthusiasts to build their dream farm from scratch, on high quality Kentucky lands. Browse all Georgetown properties below or read more about owning farms in this beautiful community! From sprawling acreages to humble plots of land, Georgetown, KY farms for sale are diverse and plentiful. Similar to the neighbouring community of Midway, Georgetown farms are a popular location for horse breeding and thoroughbreds. Many options also exist for farm development within the community and the Hill & Regan Parker team will be happy to help you find the opportunity that's right for you. Scott County benefits from the lowest property tax rate in the Lexington area, making it easier to invest in your dreams with Georgetown farms. 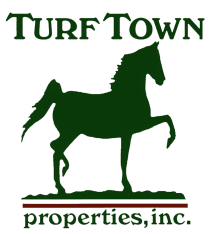 With its low property taxes and stunning scenery, Georgetown, KY farms are perfect for horse owners looking to get high value and quality amenities with their farms. Many high-end properties include hundreds of acres of land, perfect for riding, as well as indoor and outdoor arenas equipped with obstacles, and more. You will notice the beautifully designed and impeccably landscaped barns and tenant homes that truly encapsulate the equestrian lifestyle in these high-end farms. Many properties contain several barns with 20-30 stalls each. Larger properties also often include cross-country trails and groomed paths. Smaller farms are also available in the area, often coming in at under 100 acres of beautiful farmland. Modern facilities and barns that contain between 10-15 stalls are common in addition to fully functional and practical arenas. The charming and historic town of Georgetown was founded in 1785. Since then, it has grown into a beautiful hub of historic significance, education, and manufacturing in the south. With a quaint and beautiful downtown center and sprawling fields and rolling hills surrounding, Georgetown is an idyllic southern community with class, charm, and style. Much of Georgetown's success as a community comes from Toyota Manufacturing North America, as well as subsidiary manufacturing and parts companies. Georgetown College, a modest but well-loved liberal arts college also draws people to the city, inspiring studies with the surrounding Georgetown lands. Georgetown also serves as a bedroom community for Lexington, KY.
Home of the historic Ward Hall, the former home of Junius Ward and one of the finest examples of Greek Revivalist architecture in the south. Area residents can enjoy small mouth bass fishing in the North Branch of Elkhorn Creek, a 99-mile creek that runs straight through Scott County. Children can attend one of the eight elementary schools in the area, three middle schools, and one high school. In between Lexington and Georgetown, farm owners will find the Kentucky Horse Park. This equine theme park hosts numerous attractions, activities and competitions, and attempts to strengthen the bonds between horse and man. Kentucky Horse Park is a fantastic destination for beginner and advanced horse enthusiasts alike.